I want to say thank you and recognize your men for their hard work and effort during the battery replacement on UPS-41. With all the issues we have had with the batteries of late it was great to get the work completed and the UPS back on line in such a short time. Kudos to you and your crew for a excellent job well done and much appreciation for stepping up and helping out on such short notice. FYI your guys did an awesome job yesterday knocking out stings 2 & 3. Thanks for your professional, quality work. I have worked with Applied Power on several projects and they have never let me down! One of the biggest project was all of the AC and DC upgrading we had to do for the Democratic National Convention. These guys made sure they were ahead of schedule and stayed out in front of the installation vendors. We entered into an agreement with Applied Power Services (APS) to provide the following: battery rack construction (including seismic anchoring); flooded battery installation; strapping of all flooded battery inner-cell and inter-tier connections; and B-Tech battery monitor installation to the jar level. THEY DID NOT DISAPPOINT!! 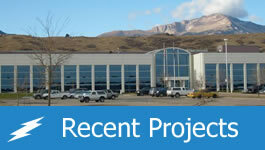 APS was able to manage the challenging nature of this project by developing a cohesive working relationship with Power Corp, the United States Army Corps of Engineers (USACE), and the general contractor. I have known members of the Applied Power Services crew for over thirty years. APS has worked for me on several of the largest DC electrical projects going on in our territory. If their performance is a good indicator, I have no doubts that they would provide the same type of service for your company. They would be an extremely positive asset for any DC-related project. I want to say thank you and recognize your leaders and team for their commitment to hard work, attention to detail, and in general, their overall effort. 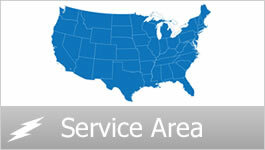 I’m happy to recommend the services of Applied Power Services. In addition to the testimonials below, please click here to download and view a testimonial from one of our clients, Truland Systems Corporation.